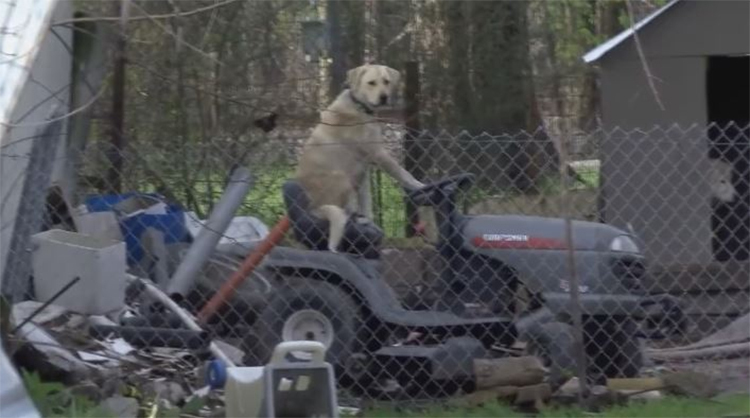 A news report in Texas covering storm damage to the local community was interrupted when they spotted a dog riding a lawnmower. "Oh, my God. Come see – look at that dog!" they can be heard saying, pointing at the dog. The dog looks unimpressed by the news crew, like he was being interrupted doing some mowing. The dog is sat there completely casually like it ain't no thing, whilst the news crew freak out and break down. So far all attempts to contact the dog have been unsuccessful - there are lawns to mow after all.